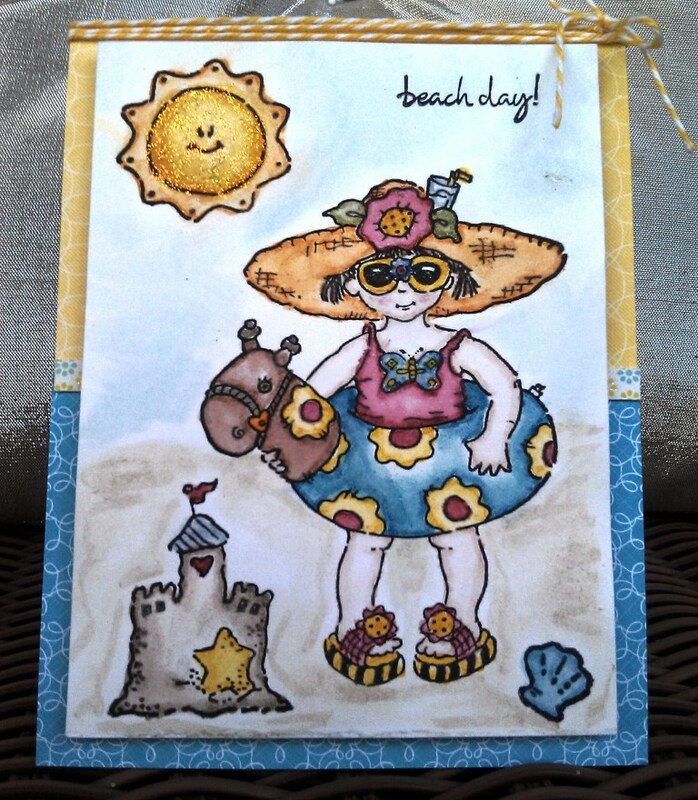 Continuing my summer theme, I was inspired to create a fun card as part of Lil’ Inker Designs’ Sunny Days Challenge. In the inspiration photo, I love the bright blue sky and the contrasting burst of yellow in the coffee cup. I think both perfectly illustrate a beautiful summer day. And who can resist pinwheels (and flip flops)? They are a great reminder to take time to play. I used the happy color scheme and imagery to create a sunny birthday card for a friend who will celebrate her birthday this month. 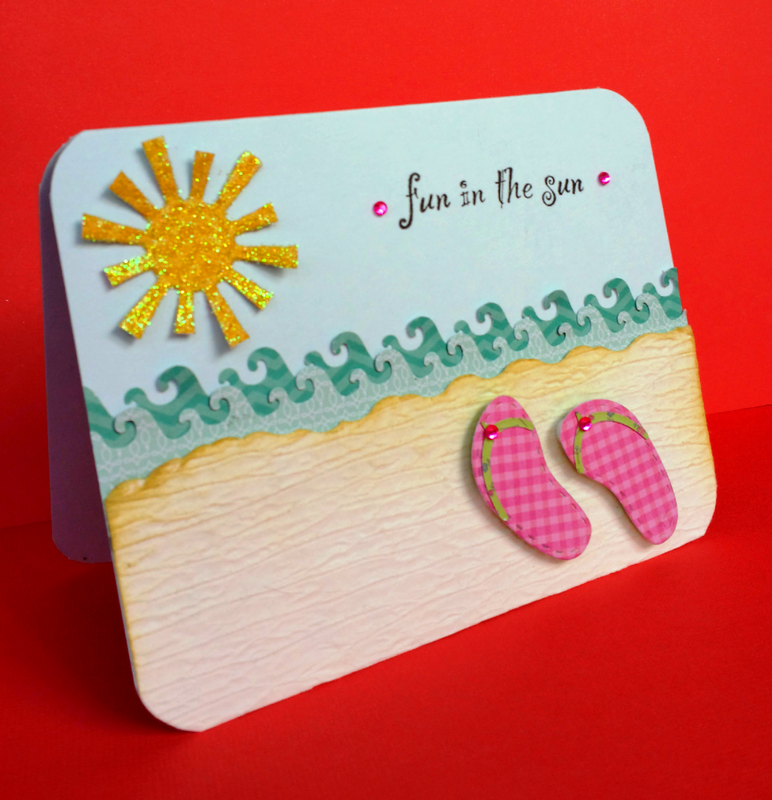 A summer card for a summer baby! I decided to turn my pinwheel into a beautiful flower. Lil’Inker’s Mini Pinwheel Die makes it really easy to create cute pinwheels for a variety of projects. I used double-sided patterned paper from Heidi Grace’s Sunshowers 6×6 paper pad. For the flower center, I wove some yellow and white baker’s twine on a white button. The flower stem is a piece of a wooden coffee stirrer, tinted green with the Tim Holtz Distress Paint in Peeled Paint. 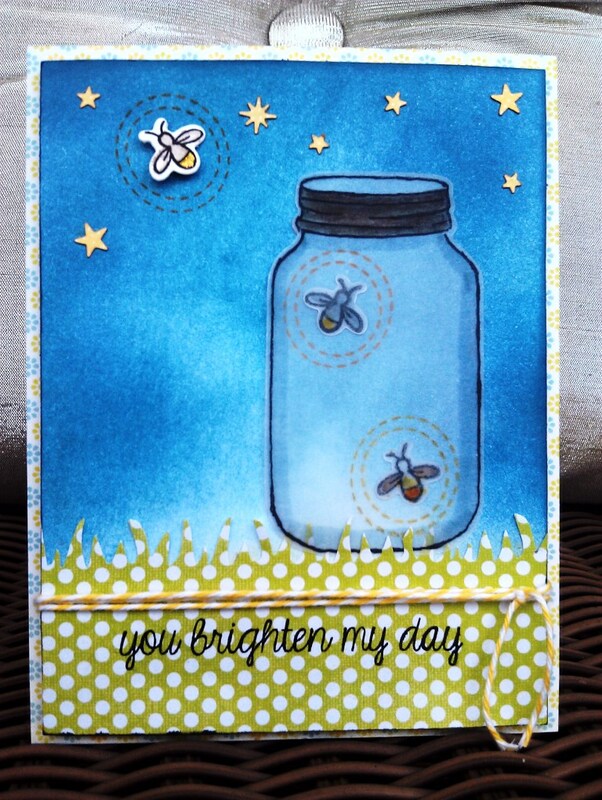 With yellow patterned paper from the same paper pad, I used the small Sunshine die from Lil’Inker to create my own bright sun in a blue sky. I love how the die includes stitching details on the sun and sunshine rays for extra interest. I folded some of the rays upward to add some dimension. 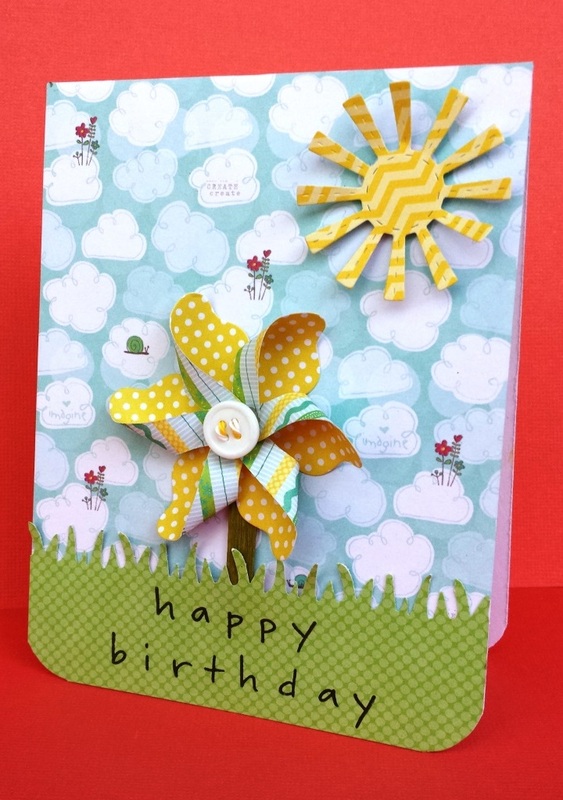 The grass was created using a punch from Fiskars; the Happy Birthday sentiment is from Stampendous. I adhered everything to a top-folding card of heavy white cardstock and rounded the bottom corners with my Corner Chomper. What do you think? Does it make you want to go outside and enjoy the sunshine? I hope so. I am so inspired, I think I am going to the beach! Have fun!